InnovAntennas design and build Log Periodic Arrays for any bandwidth and for any purpose. Our LPDA's can be designed and built for your specific needs to ensure the absolute best performance can be acheived. 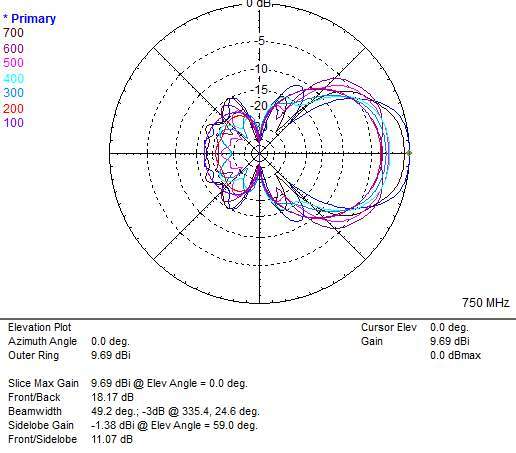 100-LOG-750 - 100MHz to 750MHz Log Periodic Array (LPDA) is a 50Ω direct fed directional wide band beam antenna for receiving and transmitting purposes. This antenna can be mounted vertically or horizontally and can handle up to 1KW of transmitted power. 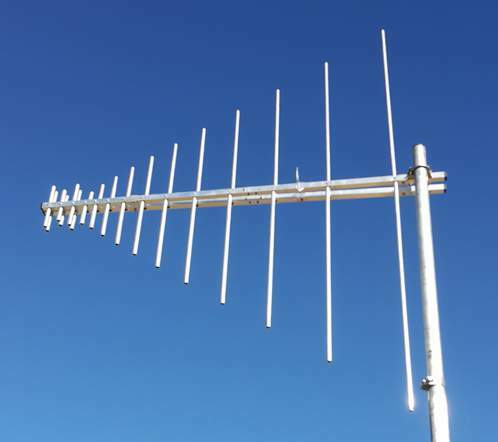 As with all InnovAntennas products, only the highest quality materials are used including aerospace grade aluminium and marine grade (A4) stainless steel. The 100-LOG-750 uses a twin-boom arrangement as a feed line as well as a dipole support. the feedlines are tapered in spacing to remove impedance spikes across its very wide bandwidth which are common in some badly designed LPDA's. 13mm diameter elements are used to ensure maximum gain and bandwidth is achieved along with Front to Back ratio (F/B) and a specially designed 3 element parasitic element cell has been placed in the feedline in front of the antenna to enhance top end performance, an area where traditional Log Periodic Arrays fall short. Often, LPDA's are designed with a 200Ω feed point which ensures bandwidth. However, this results in the need for a 4:1 transforming balun which both reduces efficiency and limits any input power too. The 100-LOG-750 has been computer optimised to present a 50Ω feed point to allow for direct connection to coax cable and thus, power limitations are largely removed. Contact us with any questions you may have relating to your specific requirements or frequency ranges you would like to cover.